Christian Brothers Roofing, LLC offers a variety of roofing services in the Parkville and Kansas City area. Our professional roof installation and repair team can help you through every part of the roofing process, from consultation roofing services and inspections to roof replacement and repair. Read on to learn more about our roofing services. We will come to your home to perform a professional roof inspection to determine the condition of your existing roof and any necessary repairs in order to keep your roof lasting for many years. When you call for our roofing consultation services, we can use our expertise to give you honest advice to help you make important decisions about your roofing services. We are happy to give you an estimation of work required and the cost of the work before performing any roofing services with a detailed written estimate. A roof is truly an investment (not just a financial expense), and Christian Brothers Roofing provides the best quality roofing services to produce a roof that will last. We can provide help with roofing insurance negotiations to ensure that your investment is covered. No matter the damage, the professionals at Christian Brothers offer roofing services to complete the necessary repairs to your roof. 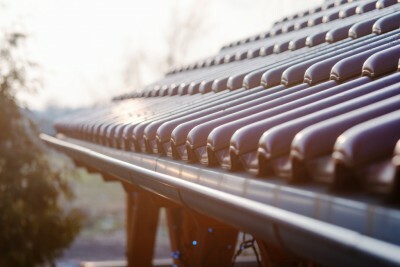 We’ll get your roof back to pristine condition in no time. We carry a wide variety of specialty roofing options to give your home the exact look that you want. We provide roof installation and replacement services to get you the roof you want for your home. By taking care of any minor repairs, you extend the life of your roof. Preventative maintenance roofing services include periodic roof inspections and minor roof maintenance to ensure that your roof is structurally sound and in good condition. Skylights add a beautiful feature to any home by flooding the space with natural light. Adding a skylight cab also increase the value of your home. Sun tunnels are typically found in smaller rooms without windows such as closets, hallways, laundry rooms and bathrooms. These small tubes bring natural light to smaller spaces. To learn more about our roofing services in the Parkville and Kansas City area, call Christian Brothers Roofing, LLC today at (816) 453-7663 or (913) 800-7663.